We diagnose, treat and help prevent diseases and disorders affecting the visual system, the eye and related structures. We also assist in identifying general health conditions that are often first detected through an eye exam, provide referrals to specialists and can help manage post-eye-surgery health. From infants to grade-schoolers through to grandparents, Doctors of Optometry not only ensure quality of vision and eye health, but quality of life. Many serious eye conditions don’t have obvious symptoms. Some eye diseases only show symptoms when the condition is advanced and difficult, or even impossible, to treat. A comprehensive eye exam provides the full assurance of vision and eye health that a store sight test or a school vision screening cannot. A sight test can only determine a lens power by relying on a combination of computerized tests using automated equipment. These automated sight tests are not comprehensive or accurate and do nothing to determine if your eyes are healthy. Your vision is priceless. Routine eye exams by a Doctor of Optometry not only ensure good vision and eye health, but peace of mind. You don’t need a referral to book an exam. 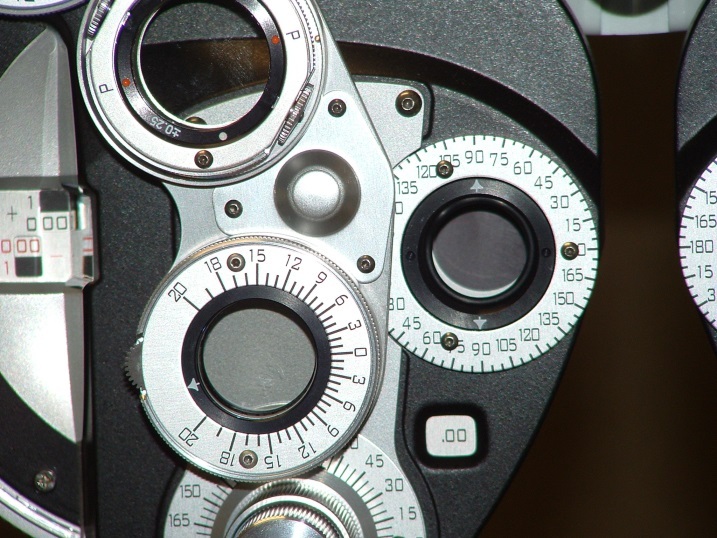 As Doctors of Optometry, we evaluate many factors that can affect your vision and eye health. We review your case history, conduct an external and internal exam of your eyes, and measure vision qualities, such as eye movements and coordination , sharpness of vision and peripheral vision. We also evaluate your ability to adjust focus, and to see colour and depth normally. If we detect problems, we may recommend glasses, contact lenses, exercises, medication or surgery.